: I FIRST HEARD ABOUT ELVIS WHEN I WAS ABOUT 6YRS OLD. I AM NOW 25YRS OLD AND LOVE THE KING. : HIS LOVE FOR ROCK N ROLL. ALSO HIS LOVE FOR HIS PEOPLE AND HIS PARENTS. 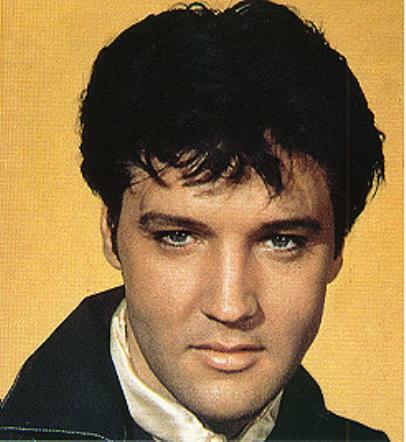 : ELVIS CAN YOU SING MY ALL TIME FAVORITE SONG TO ME "LOVE ME TENDER"? : HE DIED IN THE LATE 70'S . I WASN'T BORN YET. I WAS BORN IN 1980. I WATCH AND READ ABOUT HIM AND HIS DEATH AND I START CRYING BECAUSE WE LOST A SPECIAL TALENTED PERSON WHO WAS SO FULL OF LIFE. I WISH I COULD HAVE BEEN BORN SO THAT I COULD MEET HIM AND HIS FAMILY. : BECAUSE HIS MUSIC ROCKS! HIS VOICE IS LIKE NO OTHER. : EVERYTHING IS GREAT. I WAS JUST BROWSING AROUND ON GOOGLE LOOKING AT PRISCILLA'S PICTURES (SHE'S SO BEAUTIFUL) AND I ENDED UP HERE. I AM GLAD I DID. Thank you kindly for your wonderful comments and taking part in our survey, it makes me very happy to hear how other fans feel and what was so special to them about the `king of rock and roll,` as well as your memories. I must agree Priscilla is still to day a very beautiful woman, her beauty is stunning.